To the discerning traveller, Inner Mongolia doesn’t rate highly as a destination. In “The Inner Mongolia Story“, Neil Smith describes its grasslands as “a farce, a tourist trap the size of Nebraska.” A blogger called Emmi writes, “… Inner Mongolia is as boring as watching a cow starve.” Or perhaps she meant “as tragic”? To my discredit, I opted for Inner Mongolia over Mongolia because I’m afraid of the cold. While pondering my next move in Beijing, I met a steady stream of travellers who had passed through Mongolia on the Trans-Siberian Railway. They spoke of a freakishly premature winter that had hit the nation long before electricity – and consequently heating – was scheduled to be switched on by the government. After whimpering about a lack of warm clothing, a couple of travellers threw me their now-redundant sweaters, socks and trousers. 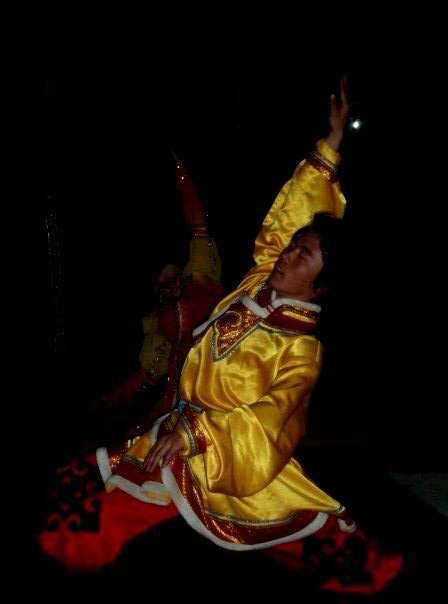 I kept the sweater, but went to Inner Mongolia for a diluted taste of life on the steppes. An overnight train from Beijing brought to me to the capital, Hohot, which boasts a museum containing over 44,000 items and a jaw-dropping dinosaur collection. One of the museum’s plaques states, “Since the founding of Inner Mongolia Autonomous Region 50 years ago, a great change has happened on the grassland, which is both a great victory of the minority policy and the result of the splendid leadership of the Communist Party of China. The people of all nationalities on the grassland will never forget the kind-hearted concerns of the revolutionary leaders of both the old and new generations.” I exhaled a long “hmmmm,” before snapping a picture of the plaque and moving on to the next exhibit. I ate my first evening meal in a bustling restaurant with friendly patrons. A group of nine men waved me over to their table from my solitary one, and though we couldn’t understand a single word each other said, we had a fine time consuming delicious hotpots and outrageously frequent shots of the local liquor. I was then invited to the wives’ tables, where I switched to green tea. I headed off on a two day tour of the grasslands the following morning. There were about six tourists on the minibus, but I felt lousy and cheerless because I’d slept poorly and knew that the next 48 hours would be crammed full of activities that don’t involve dreaming. I dislike tours, but joining one gave me the only chance to spend the night in a traditional yurt, which looks like a circular tent. As I dragged my feet off the bus around lunchtime, a beautiful woman decked in a red satin dress and pointed hat presented us each with a glass of clear liquor. She said it was tradition. Though still feeling rather seedy, consuming the liquid tradition got me chatting to others quicker than a nap would have done. Despite the many criticisms of Inner Mongolia’s lack of authenticity, I can’t deny that every effort was made by the Chinese tour company to keep us entertained. 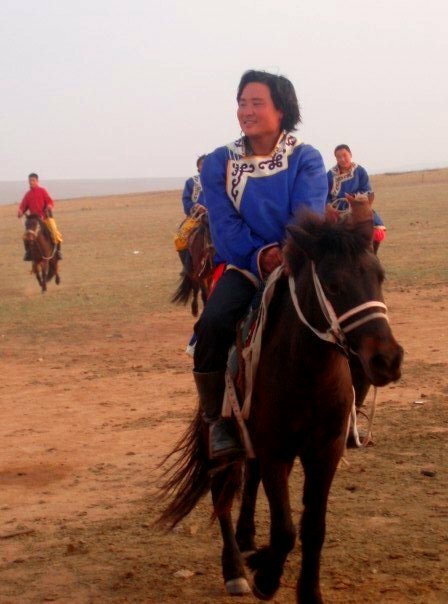 We watched not-quite traditional wrestling, horse racing and dancing in the evening, and were taken out on a long horseback ride with regular yak milk pit stops and a Mongolian cowboy that strangely reminded me of Patrick Swayze. Sure, the animals were tired ponies and not Genghis warrior type horses, and the scenery was comprised of muted greens and grey, but I wasn’t overly disappointed. That is, not until breakfast the next morning, when we were served sheep stomach stew and assorted tendons.